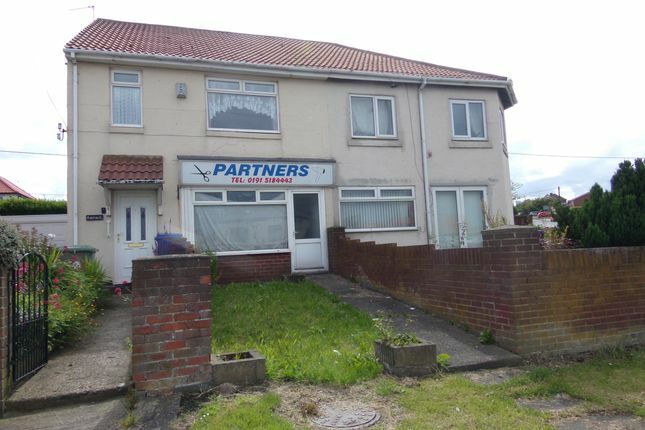 Commercial and residential premises.... Keith Pattinson Estate Agents are delighted to welcome to the sales market this part commercial, part residential property situated on Coast Road, Blackhall. With consent this property could be converted into a fully residential premises to make a good sized semi - detached family home. The property benefits from offering commercial premises on the ground floor (former hairdressers), there is also a downstairs cloakroom, lounge/dining area and kitchen. The first floor is a two bedroom flat benefitting from: Lounge, kitchen, family bathroom and two bedrooms. Externally there is a good sized fully enclosed garden to the rear aspect and off road parking to the side. With carpeted flooring and staircase leading to the first floor (residential premises), with door leading into the commercial premises and access into the kitchen area. With a double glazed window to the front aspect, UPVC door to the front, carpeted flooring, radiator and access to the WC. With low level WC, sink, vinyl flooring and double glazed window. Situated Downstairs and benefitting from wall and base units, with roll top work surfaces, sink and drainer unit, plumbing for a washing machine and UPVC door to the rear aspect. With carpeted flooring, double glazed window to the side aspect, radiator. With a double glazed window, carpeted flooring, radiator and access to the kitchen. With wall and base units, roll top work surfaces, with double glazed window . With a double glazed window, single panelled radiator, carpeted flooring, fitted wardrobes. With carpeted flooring, single panelled radiator and double glazed window. With low level WC, wash hand basin and a shower cubicle. With heated towel radiator, vinyl flooring and a double glazed window. With a driveway to the front aspect and a fully enclosed garden to the rear aspect.